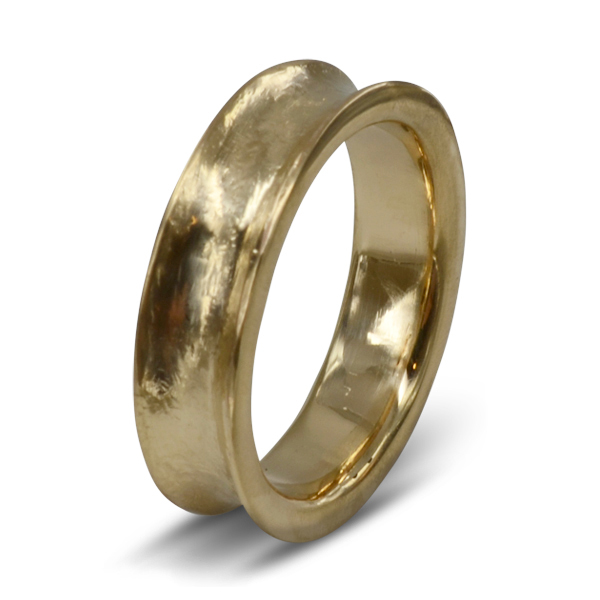 A Gold Concave wedding band, 6mm wide. This ring can be commissioned in our bespoke jewellery service in any precious metal, in any width in any ring size. Choose from Platinum, 18ct yellow rose or white gold, just email us for a price for your bespoke wedding ring.